This is the best dessert ever. One family size package of brownie mix. Spray the bottom of a 9×9 deep pan. Pour 2/3 of the batter into the pan and bake for 12 minutes. Put the caramel and condensed milk into a saucepan and slowly cook till everything is melted and you have a creamy caramel sauce. This is so good but don’t eat it yet. Pour this sauce over the warm brownie layer. Add the rest of the brownie mix on top of the caramel. Add the remainder of the salt on top of the brownie mixture. Bake for about another 40 minutes but always check to see if they are done. 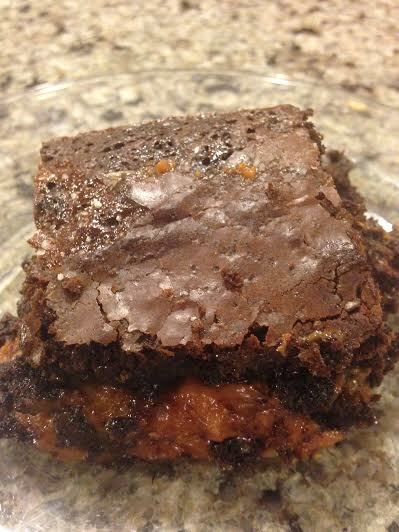 I feel the top of the brownie. It should be firm and the brownie should start pulling away from the sides of the pan. These are very rich so serve them with whipped cream or ice cream to put them over the top. I love pancakes every so often and I really didn’t like all the recipes I found. After trial and a lot of error I found a recipe in my Bible. My Bible is The Joy Of Cooking. This is one of the best cookbooks. My book is 40 years old, thread bear and is still my go to book for anything. I will give you her basic recipe and then my changes. Mix all the dry ingredients and mix with all the wet ingredients. Cook on a hot buttered griddle until bubbles form, then flip and serve. My version is to follow the recipe except substitute and delete some things. Reduce the milk by 1/4 cup and add 1/4 cup french vanilla liquid coffee creamer. Change the milk to half and half. Use 2 teaspoons of baking powder instead of 1 3/4 teaspoons. I also use the two eggs not one. 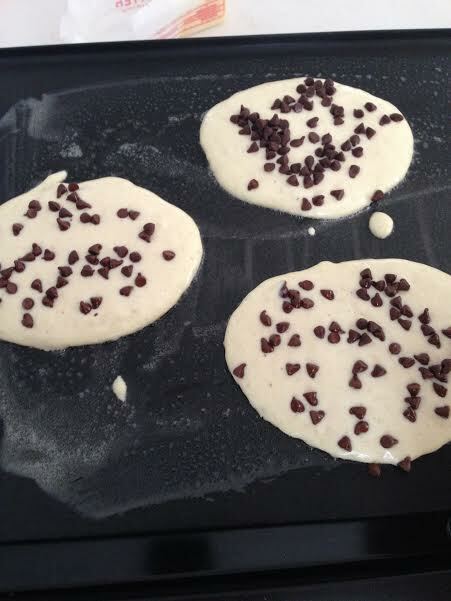 If you like chocolate chip pancakes buy the mini chocolate chips. These pancakes are a little sweet and make a delicious ham, egg and cheese sandwich with maple syrup on the side. These are my special occasion pancakes so it’s okay to be decadent. Feel free to substitute any other flavor of coffee creamer but I like the vanilla the best.